As the pollution level in the national capital is rising at an alarming rate leading to protests, shutting down of schools and increase in the number of asthma, allergy and other health issues, the Aam Aadmi Party (AAP) government in Delhi is stepping up efforts to contain the situation. The unprecedented “smog” cover which many feel is the worst in the last 17 years has been said to be caused by the burning of wastes in neighbouring states like Punjab. In an exclusive interview to thestatesman.com, Delhi Health Minister Satyendra Jain called for labelling “burning of wastes as a crime” and discussed steps that the government in taking on the face of the crisis. “Burning of waste is of grave concern and the matter should be taken seriously. It is a major crime to burn waste as it significantly harms the environment. The main concern is with the disposal of waste materials. The officials responsible deliberately burn the waste materials instead of dumping it in a secure location,” Jain said. 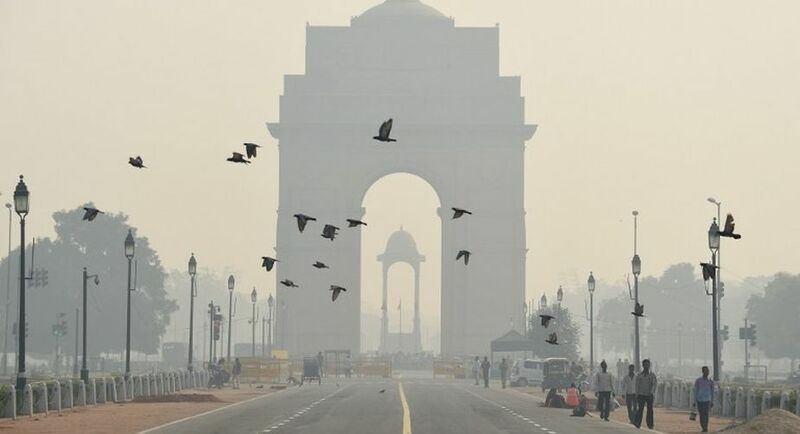 The farm-fire menace in the neighbouring states namely Punjab, Haryana and Uttar Pradesh has strikingly hit the chords of smog situation in the capital city. Since the burning of crops in adjacent states have reportedly escalated the pollution level, it is only fair that the Delhi government hold talks with the bordering states. “We have already written to the neighbouring states regarding the ongoing situation. However, there has been no clear response from them. So, we have forwarded the matter to the Centre now to arrange a meeting and hold talks with the other states. It is in their hands to handle the matter now and arrange a meeting of all the states,” he said. The level of air pollution is 10 times more than the recommended safe limit. As the city chokes and ‘heavy smog’ remains the pressing issue, what crucial steps have the AAP-led govt taken so far? As the pollution control board is closely examining the matter and paying regular site visits, “efforts have been made for the ‘Greening Programme’, which was launched in July. The programme, set to be completed by December, would be fulfilled by November. Also, there are over 100 construction sites in the NCR region, which activities contribute to the air contamination hugely. As a part of the steps taken, the government has ordered stoppage of construction work for few days to contain the situation. “The existing norms restrict us to carry out any authorised activities in the NCR region. The dust particles don’t settle at one point, it widely spreads out to the nearby areas causing more pollution,” he indirectly implied, seeking support from the adjoining neighbours. The possible return of odd-even plan has been doing the rounds ever since Chief Minister Arvind Kejriwal at a press-conference on Sunday hinted at considering the option. “We will make an assessment this week and implement it if required. However, if the pollution level sweeps low, it can be avoided,” the health minister added.